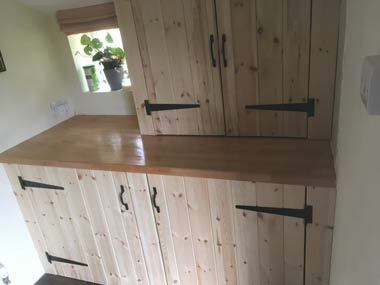 We provide a wide range of carpentry services in Malvern such as door hanging, kitchen fitting and all forms of general carpentry in Malvern and the surrounding areas of Worcestershire and across the Three Counties. Please feel free to contact Stuart Clark discuss your requirements. Stuart Clark is the sole proprietor of Carpentry Contracts Malvern and is in operation across Worcestershire and the three counties. We provide a wide range of carpentry services to both domestic and commercial entities. 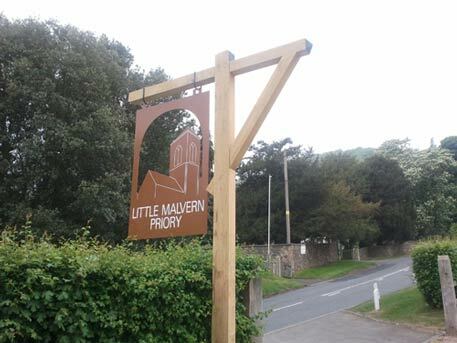 Carpentry Contracts Malvern (CCM) has been in operation since 2008 providing quality carpentry services to valued clients across in Malvern and across the Three Counties. 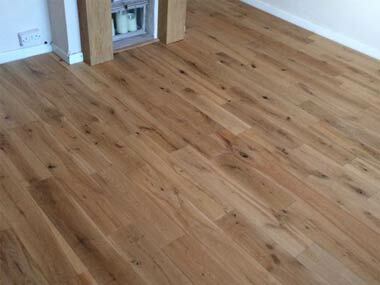 We always provide free quotations and are willing to take on projects of any size. Carpentry Contracts Malvern is fully insured under public liability insurance. Our wide range of professional carpentry experience separates us from the competition. Classically trained from a carpentry apprenticeship, Stuart Clark is a professional local carpenter in Malvern. We work with the customer to find exactly what they need from storage and shelving to "made to measure" gates, doors, windows etc. We cover all forms of general carpentry. This includes traditional carpentry and joinery in the construction sense and more domestic carpentry based work such general repairs, door hanging, kitchen fitting, shelves etc. We both supply and fit kitchens from a wide range of suppliers and are happy to work with customers to achieve their required design. We also cover integrated appliances such as fridges, freezers, dishwashers, extraction etc. We cover the full spectrum of carpentry work - too many to simply list! We've put together our most common services on our carpentry services page. However if what you're looking for isn't there please contact us to discuss your requirements. It's a privilege to work in your home, business premises or on your dream project. We are honest, reliable and trustworthy carpenters working to the highest industry standards. We help our customers from design and concept all the way to project completion. We're always happy to discuss ideas and be creative in our thinking to help you get the best possible carpentry solution. We strive to be as competitively priced as possible and provide free, no-obligation consultations and quotes for all projects. Carpentry (and building in general!) can present unforeseen challenges, we always provide impartial advice at every stage should further costs in time or materials be required. "I would like to take this opportunity to thank Stuart on behalf of the parochial church council for your excellent workmanship and the efficiency and courtesy of your service." 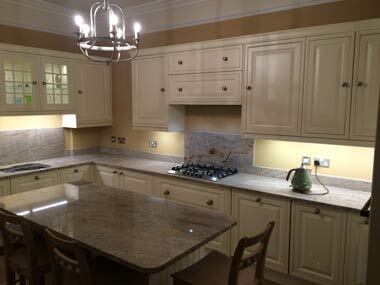 "Thank you for all the work carried out, it all looks great. I look forward to using you again soon." "I've worked with Stuart on many building projects over the years and will continue to use his services due to his quality workmanship, trustworthiness and reasonable prices." "I would like to thank Stuart for the excellent work he has carried out at Malvern Rugby club. He was professional, quick, neat and tidy and very reasonably priced." We w ere impressed with Stuart's enthusiasm and commitment when he first came to quote for the work we wanted done. He made a fantastic job of fitting our Kitchen and some bespoke cupboards in our living room. Nothing was too much trouble, he was willing to carry out all our wishes and changes we made to our original design. Stuart was hard working easy to get along and it was a pleasure to have him in our home. We would highly recommend his work and we will definitely be having him back to do some more work for us in the near future. A genuinely diamond geezer!!! Thanks Stu.